EM Signs have just completed our 4th Carl's Jr. Victoria. with the Ballarat store soon to open. We've been able to showcase all the different types of signage we produce from their pylon to illuminated building signage, wall graphics, and directional signage - there is no missing the Carls Jnr. brand. 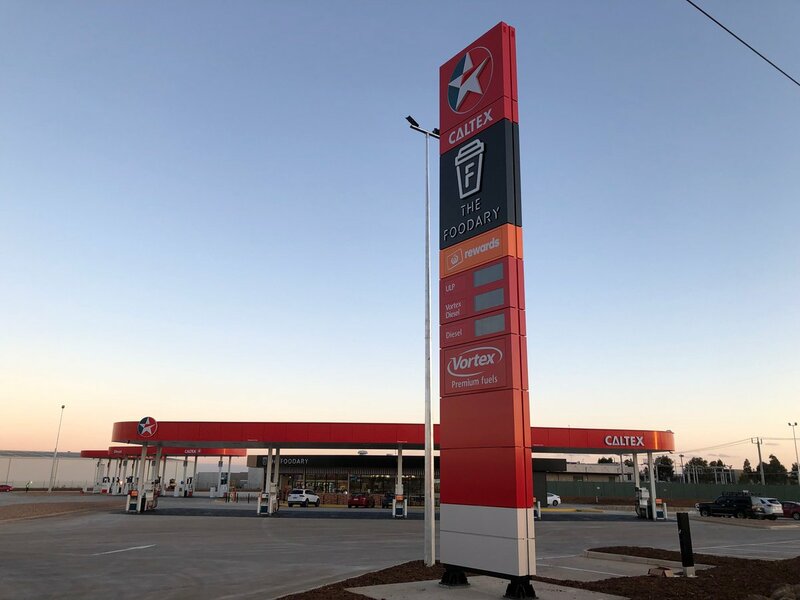 As this was a shared Caltex Australia site, we've also manufactured and installed new signage which included two pylons with co-branding for Carls Jnr. Thank you to Lifestyle Solutions for the opportunity to work alongside you with this project. We look forward to seeing it on the road! We've just updated our website and would love to invite you all to check it out. Full of information about what we do and why EM Signs is one of Australia's largest signage manufacturers, it showcases some of our impressive work. Featuring 4 sets of Building ID signs, three of which illuminate, these signs truly show off the Nuweigh Australia branding with signs that span 8 metres wide. Check out the drone footage below which shows off our manufacturing and installation capabilities. The Colonel is ready for another road trip with a new KFC opening soon in Traralgon, Victoria. With a dedicated packaging and freight department, EM Signs ensures our signage can be shipped Australia wide ready for installation by our specialist team. With a new brand concept introduced by KFC this year, EM Signs has had the pleasure of working alongside our long term client to ensure their brand is rolled out seamlessly and looking great! The recently completed KFC Cranbourne West in Victoria is sure to stand out from the crowd. 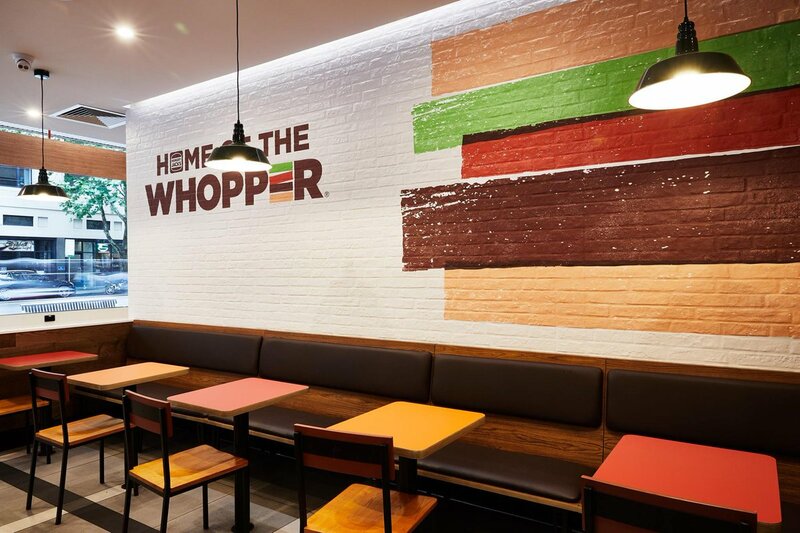 Check out some of the works we have recently completed for Hungry Jack's, working alongside Kingdom Projects in Melbourne's CBD. The recently opened KFC at Westfield Coomera looking great with their illuminated signage manufactured and installed by EM Signs. We've started 2019 with a new shared site for Caltex Australia & Hungry Jack's due to open soon in Coffs Harbour, NSW. Our relationship with Caltex and Hungry Jack's continues to grow into the new year with new sites under construction and soon to be completed Australia wide. EM Signs have made complex curves on this new style Caltex Australia look easy with another site ready to open in Derrimut Victoria. We've produced and installed all signage including the pylon, 3 canopies, and the shop signage. When you're in the area next filling up, make sure to grab a coffee too at The Foodary! EM Signs have been involved with the ongoing work to update Subway Australia to their new Corporate ID. Working with locations across the Eastern Seaboard, Subway Wagga has recently been completed with a fantastic looking fit out. Our three-decade partnership with KFC continues with another signage project completed for the newly opened KFC in Banksia Grove, WA. Size is no issue with EM Signs. We’ve just manufactured and installed these two signs for Woolworths in Wallan Victoria. These signs have been made to replace existing signs with a refresh of the Woolworths brand. At 12m x 2.5m they’re sure to catch the attention of passers by and remind shoppers where to get their groceries! Caltex Melton looking great under the blue skies today. EM Signs have recently completed another site for our long term partners Caltex Australia. EM Signs had the pleasure of manufacturing and installing signage for the centre as well as major tenants, Woolworths and BWS. With LED illumination, these signs stand out 24/7 to advertise and promote their brands.